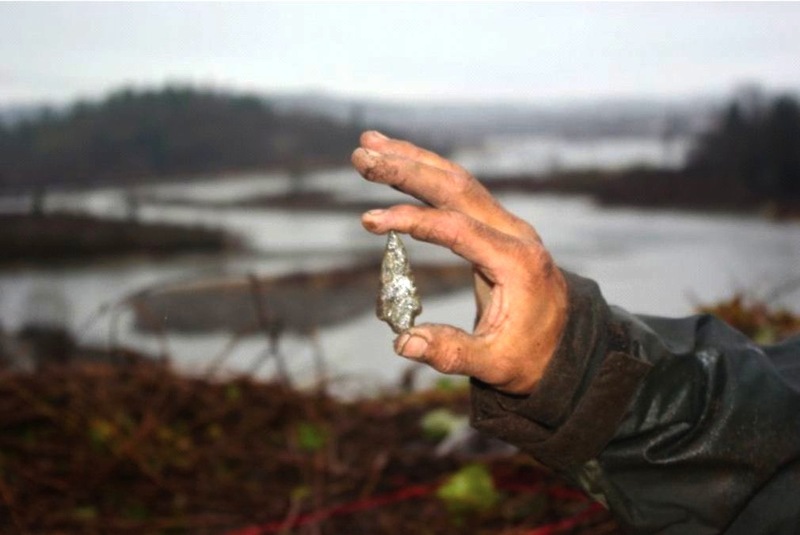 Quartz Crystal projectile point with Stave Watershed in background. Duncan McLaren, Ph.D. and Brendan Gray, M.A. I expect this talk will also indirectly exemplify the leading role B.C. Hydro is playing in enlightened Cultural Resource Management in this province. This talk is free and open to any member of the public. Tuesday May 18 at 7.30 P.M.
For information, e-mail asbcvictoria@gmail.com , or leave a comment/question below. This entry was posted in Archaeology, Cultural Resource Management, fieldwork, Lower Mainland, Northwest Coast and tagged Archaeological Society of British Columbia, ASBC, Fraser Valley, Stave River. Bookmark the permalink.